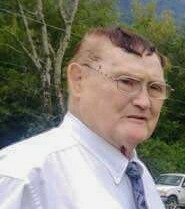 Paul Edward Chapman, 80, of Chattanooga, passed away on Friday, January 18, 2019 at his home. He was a member of Kelley's Ferry Church of God and the Adult Sunday School Class. Mr. Chapman retired from Roper Corporation. Survivors include his wife, Frances Chapman; one son Paul Edward “Eddie” Chapman, Jr.; two daughters, Kathy Radcliff and Deree Chapman (Shaun Hale); six grandchildren, Franklin Radcliff, Steven and Katie Radcliff, Hunter Long, Thomas Radcliff, Jacob Jones and Connor Leming; two great-grandchildren, Molly Radcliff and Marshall Radcliff; several nieces and nephews. Funeral services will be held at 11:30 a.m. on Monday at the East Chapel of Chattanooga Funeral Home, 404 South Moore Road with the Reverend Mike Williams officiating. Burial will be in Lakewood Memory Gardens, West. The family will receive friends from 2-6 p.m. on Sunday at the funeral home.